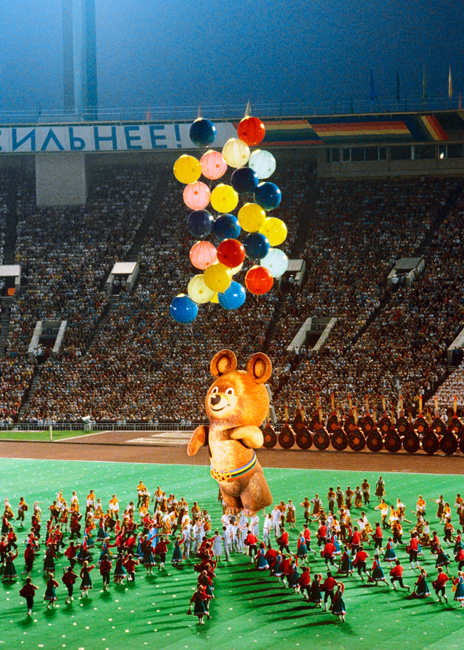 Closing ceremony for XXII Summer Olympic Games. Lenin Central Stadium (Luzhniki), Moscow. 1980. In the lead-up to the Sochi Olympics the Moscow Multimedia Art Museum recounts the history of top Russian Olympic champions from the 20th and 21st centuries.